Microsoft has debuted a multi-touch mouse, allowing people to use gestures to interact with their PC. 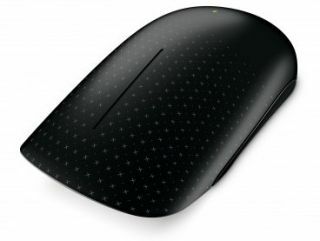 With the inevitable Apple Magic Mouse comparisons hovering uncomfortably in the air, the Touch Mouse has a UK release date of June 2011 and a projected price of £69.99. The Touch Mouse comes from Microsoft's Mouse 2.0 project and enables users to click, flick, and swipe with their fingers on the surface of the device. "The new Touch Mouse is a great way for customers to interact naturally with their Windows 7-based PC," said Mark Relph, senior director of the Windows Developer and Ecosystem Team at Microsoft. "We worked closely with the Microsoft Hardware team to help develop the multi-touch gestures that make Windows 7 easier, simpler and more fun to use. After just a few minutes with this mouse you'll see why." The wireless mouse also uses Microsoft's impressive Bluetrack technology and comes with a Nano transceiver.